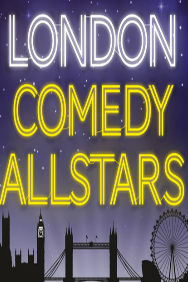 London Comedy Allstars tickets at Southbank Centre, London. 2019. Find the best London Comedy Allstars comedy tickets at Southbank Centre, West End. London Comedy Allstars (Southbank Centre, West End). Underbelly Festival Southbank Saturday, 6th April 2019 to Saturday, 28th September 2019. Saturday, 6th April 2019 to Saturday, 28th September 2019. London Comedy Allstars tickets: The tabs above allow you to select between links to suppliers and date searching. Click on a supplier's logo to see their details and on the 'buy now' button to see and check the tickets on offer.